Lately, I’ve had a bad run of customer service experiences. Maybe it’s the Universe’s way of telling me to share some ideas about customer service with the medical sales professionals I serve. The case studies that I’m about to share with you will have a point that applies to your medical sales territory. I’ve always believed on spending money to get things done right the first time. When I learned my car had an oil leak that required taking the engine out of the car and partially disassembling it, I decided that the dealership was the best option. When I scheduled an appointment, the service writer agreed to provide a loaner car at no charge since the repair would take four days. When I arrived, the only loaner they had was a full-sized pick-up truck. Unfortunately, the community where I live does not allow pick-up trucks to be parked overnight, so I had to decline. He said, “No problem. We’ll take you over to Enterprise and get you a rental. After getting dropped off outside the Enterprise location, I walked inside. 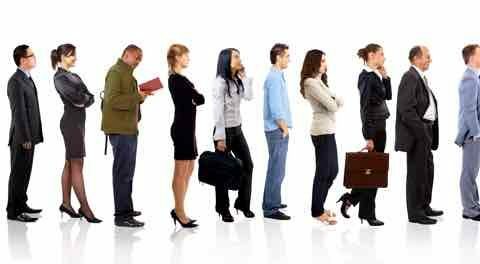 My stomach tightened as I entered the waiting area with 12 people ahead of me. This was Monday of President’s Day weekend and they were waiting for cars to be returned so they could reassign them. After standing in line for 20 minutes, I made my way to the counter where a very pleasant and bubbly woman took my information, thanked me for my patience, and said she’ll call me when my car was ready. My uneasiness rose as I noticed that many of the 8 people still ahead of me went up to the counter to complain about the wait. The manager of the center told them that they were unloading brand new cars at the airport, which would be delivered shortly. This is when I decided to find out what was really going on, as I had a full day of appointments that I needed to get to. What was the manager’s job at this point? Was it to make excuses, tell customers what he thought they wanted to hear and hope for the best? Or…was it to be honest and try to solve the customer’s problems? The person at the airport told him that three cars were on the way and should be there within 20 minutes. They were still unloading the other cars, which had to be fueled before they could be delivered. The manager was informed that it could be up to an hour and a half…or longer. I don’t know if the Enterprise Manager got the message, but I hope that you do. Yes, it’s uncomfortable to tell a customer the truth when the truth is something less than what they expect. But over-promising is one of the worst things you can do. When you don’t deliver on the expectations you set, trust is lost. Relationships are damaged. Business disappears. In the next segment, I’ll share the second case study with you. It’s about my experience with the car dealership, and this one will blow your mind. More importantly, it will convey an important lesson you can apply in your territory so you don’t lose trust with customers, lose business and tarnish your reputation. Want to try STRATEGIC POSITIONING instead of "DETAILING?" 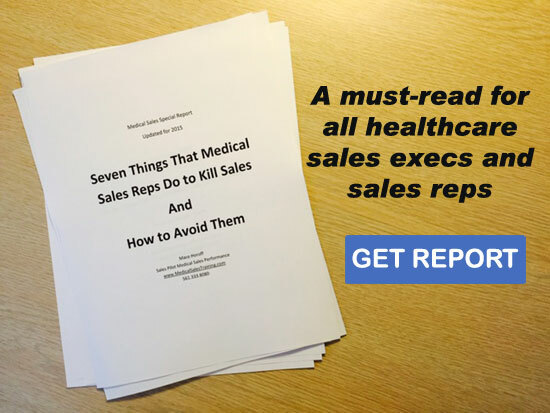 Grab my FREE Medical Sales Positioning Resource Guide. Warning: If you start selling this way, you’ll thrill your customers instead of boring them. I Want The FREE Positioning Resource Guide! A great case study Mace. My experience is that many sales people understand it, “under promise and over deliver”, as something of a mantra which does not require them actively putting the words into practice. They appear to assume it will ‘magically/mystically’ happen, even in spite of them behaving in quite the opposite manner!